Are You Ready to Turn Chaos into Peace? You are busy, stressed and tired, but you want do better. You long for your home to be a place of refuge and love. 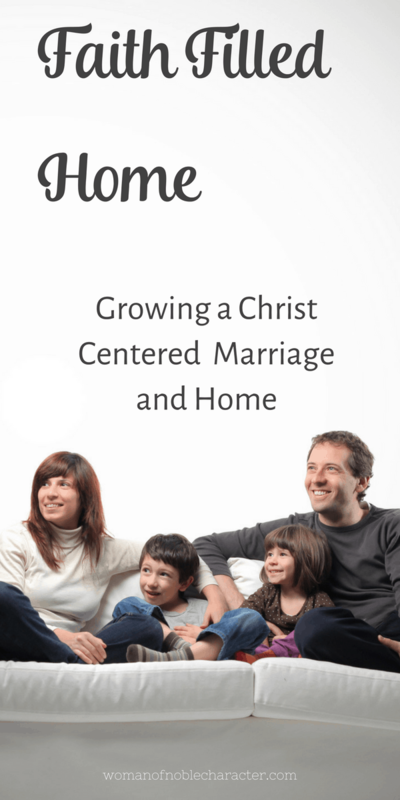 You crave Our Father’s face and you desire to grow closer to your husband. You’re yearning to live a life like the Proverbs 31 woman – to be a virtuous woman who has it all together and who brings peace and harmony to your household. You know there are steps you can take, but you don’t have the time to figure out how to do it. I understand exactly how you feel because once upon a time, that’s how I felt too. I was frustrated, overwhelmed and incredibly stressed. Walking into my home didn’t give me the sense of peace that I was longing for. All I could see at the end of the day were the things I’d failed to tidy up, or sort out. My to-do list was only growing and I had no idea where to start. 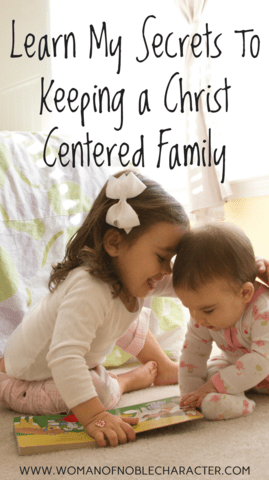 You can read my entire story here, but long story short, I felt trapped in a vicious cycle of disorganization and overwhelm, and it was causing stress on my marriage and discontent in my heart. Then one day, it hit me. I not only needed to establish routines, but I needed to change my mindset – and that’s exactly what I did. I began viewing my husband as my ministry. I created routines and schedules that allowed me to manage everything without overwhelm. I mastered easy weeknight dinners that could be quickly thrown together around my children’s activities. 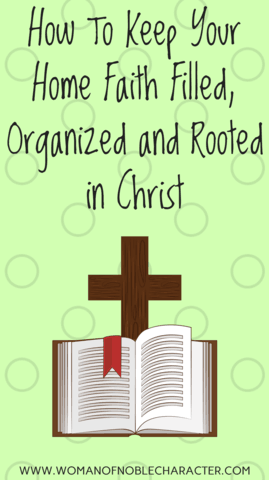 I tackled Mount Laundry and all the other organizational tasks that go along with managing a household. My home life and my walk with God were improving. I felt closer to Him and to my husband. My life was transformed! Do you long to transform your life and live it like the Proverbs 31 woman, too? If the answer to that question is yes, then let me help you, because I know first-hand it can be done! I’ve compiled years of what I’ve learned into a monthly subscription box that can help you on your path to becoming the Proverbs 31 woman. Each monthly “box” will target all of these important areas of your life and will help you simplify and take control – and finally be able to live like the Proverbs 31 woman. 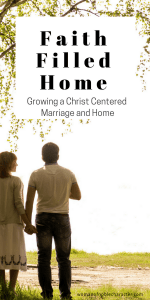 You’ll begin to see positive changes in your home, your marriage and your walk with God. The best part is – you can download each module and work on it around your schedule. At just 14.99 per month, my beta testers thought I was crazy! 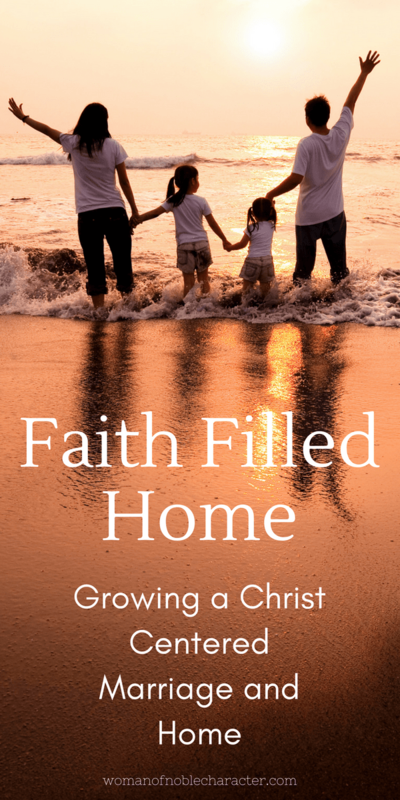 Want to see what is included in your first month of Faith Filled Home? All that for just 14.99 per month! 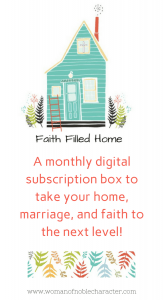 “I was really intrigued by the idea of a digital subscription box for Christian women so I jumped on the chance to be a beta tester. This was so cool! I really liked how the “box” was organized by section and thought that the scripture memory cards were wonderful. I also really liked the devotion and how we focused on one room of the house each month”. 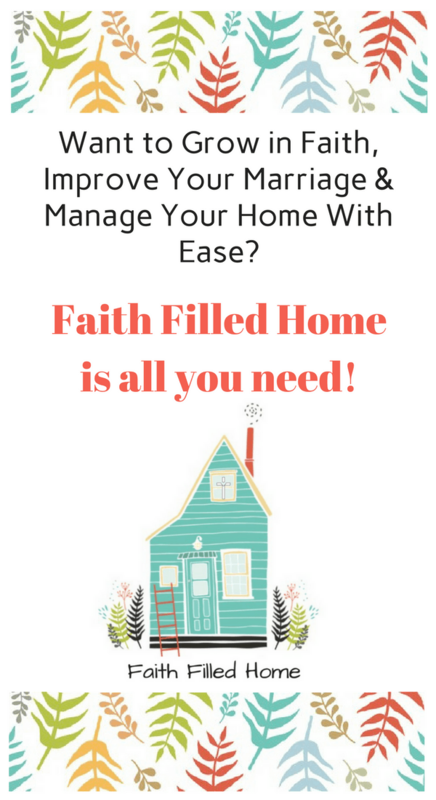 How will the Faith Filled Home materials transform your life? Plus, you’ll increase your Biblical knowledge, wisdom, and understanding in a broad range of subjects pertaining to the Christian woman. BONUS: For joining you will receive, as a gift, my Fabulously Festive Meal Planning Pack to take the stress out of weeknight and holiday meal planning ($27 value). 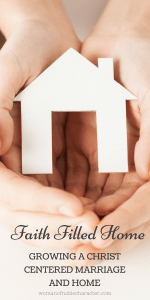 Upon joining the Faith Filled Home, you will receive the Planning Pack Bonus. Your first month’s subscription will arrive in your inbox one week (7 days after your purchase date). For example, if you purchase Faith Filled Home on January 9th, you will receive your Meal Planning Bonus on January 9th and on January 16th, you will receive access to the first month’s “box” and content. This will give you a bit of time to absorb the Meal Planning information and get ready to rock the Proverbs 31 life!